What are the Benefits of Double Glazing Sound Proofing Windows? It is hard to replace or remove existing windows in addition to it being extremely expensive as well. That is why most people do not opt for double glazing of their windows. 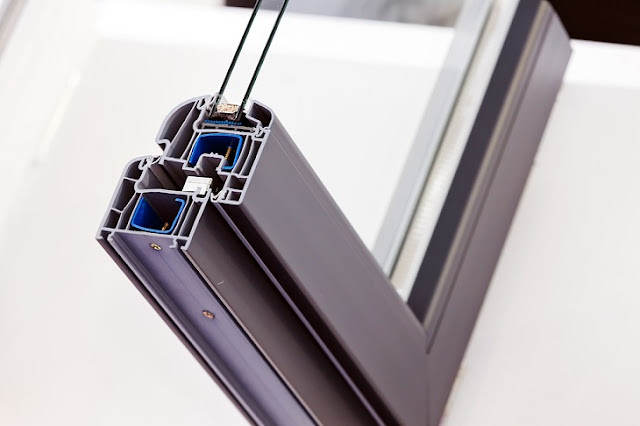 However, retrofit double glazing systems help as these are designed so that they fit the existing window. The best part about sound insulation in double glazed windows is that, you experience nil noise, due to the double layers of glass, and the vacuum layer in between the glass sheets, which stops both light and sound to enter into your rooms. Double glazing also is environmental friendly as well so those who are environmentally conscious do not need to worry about it harming the environment. When double glazing of old windows is done, the character of that period is maintained and retained as well. When windows are double glazed, the inside property is not impacted nor is the aesthetic value of the window compromised and so these windows are the ideal not just for homes, but also for offices. In retrofitting what is done is that a discreet sub frame is installed and the acrylic panel is magnetically attached to the existing window sills inside portion. The magnetic seal makes it secure and airtight and thus the draughts are minimized. An air cavity is created in the glazing panel between the existing window as well as the panel and this act as an insulation barrier and prevents temperature and noise from being transmitted through. Depending on how the existing window is configured, the size of the air cavity is created so that it maximizes the insulation both in terms of acoustic as well as thermal. Why do you need to Soundproof Double Glazed Windows? Noise pollution is the primary reason for double glazing of windows. Noise pollution is especially a huge deal in urban areas when there is outside traffic, airport noises as well as noises by busy markets. This causes not only disturbance but also stress when someone is subjected to such noises over long periods of time. Acoustic glass is also used not only for reducing outside noises but also to reduce insulation from rain impact noises when it is put onto the roof glazing. Double glazing sound proofing windows is the best way to prevent unwanted noise or sound in case of board rooms, or when you want to do an office fitout, or when you set up an auditorium. Acoustic glass consists of either two or more than 2 sheets of glass which are bonded together with interlayers which are acoustic. This is used for double glazing windows. The interlayers dampen the noise core by weakening the sound when it moves through the glass and depending on the thickness of the sheets of glass, the insulation can be even better. In addition to the noise being cut out, the other advantages are that heating bills are reduced as these double glazed windows cut down the heat loss through windows by half. There are K glass which have special heat reflecting coating as well. They protect the house from draughts as sometimes the windows do not have sufficient insulation and even if one tries to install draught proofing from DIY stores, the effect is not as good as when double glazing is done. Therefore, double glazing of windows is an option which should be pursued by all.